Every state, city and county has its own set of challenges that may seem unique on the surface, but when you peel back the layers they have more in common than they do differences. Maybe your county is struggling to buy emerging technologies via an arduous and heavily manual procurement process. Or maybe your state is brainstorming ways to proactively defend against and respond to cyberthreats. Whatever the challenge, know that you’re not in it alone. Governments nationwide are tackling the same issues, and they’re making strides. They’ve waded through the bureaucratic waters of government regulations and the growing pains of guiding employees through change, all while meeting citizens’ expectations. 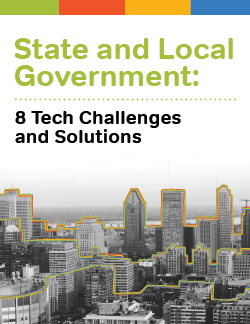 In this guide, we showcase eight case studies that highlight common challenges state and local governments face and the technology solution they used to solve them. You’ll hear from several visionaries, including Michigan’s Deputy Chief Security Officer, who is building the nation’s first team of volunteer cybersecurity experts, and Santa Clara County’s Chief Procurement Officer, who is streamlining and automating procurement in the cloud. 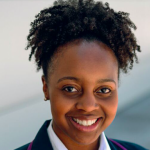 Other topics covered in the guide include increasing efficiencies through IT consolidation, improving citizen services with artificial intelligence and visualizing community issues with data.